Please click only once. The charge will appear on your credit card statement as “Bumblebee Batteries, LLC”. If you have any questions, please contact us and one of our agents will reply as soon as possible. You may also email us at support@bumblebeebatteries.com. We are happy to help! At Bumblebee Batteries, we stand behind every battery we sell. 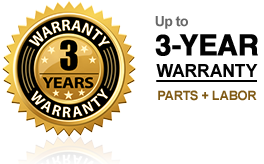 Your purchase is fully warranted against defects in materials or workmanship for up to three years from date of purchase. See our Warranty Page for more details.